The awards was presented at JPL on Monday, April 12, 2017 in the von Karman Auditorium at 7:00 PM. Christie grew up in Glendale. She and her family moved to La Canada in 2005. Her two daughters, Emily and Sophie, are students at La Canada High School. PTA – She was the La Canada Elementary PTA President for 2 years then a board member of the LCHS 7/8 PTA. She ran the “Snack Shak” for all LCHS football games and became the LCHS PTSA President for 2 years. Christie is now co-chairmen of the upcoming 2017 Home Tour, the largest fundraiser for the 7/8 PTA and 9-12 PTSA. National Charity League -Christie is the President-Elect of the Glendale/La Canada chapter of NCL, has been the grade level advisor and as a member has volunteered at Ascencia (a homeless shelter in Glendale), 12 Oaks Lodge (a senior living center) and the Glendale YWCA. Christie has also been a co-leader of her daughter’s Girl Scout troop for 8 years, helping them achieve their Bronze, Silver and Gold awards. In addition, Christie coached both daughters’ tournament softball teams and was the “team mom” for the LCHS JV softball team. In supporting her husband’s LCHS Booster involvement she co-ran the Silent Auction for the 2016 Boosterfest. Christie is a difference maker in our community. The Coordinating Council established a Les Tupper Special Service Award to honor individuals, organizations or businesses worthy of recognition for their service to the La Cañada Flintridge community but do not meet the broad based volunteer requirements of the Community Service Award. This year, one individual was found worthy of this honor. After growing up in La Canada and teaching English in the area for 30 years, Sheri immediately put her energy into community service. She started that service in 1990 as a charter member of CAP, Canada Auxiliary of Professionals, an auxiliary of the Assistance League of Flintridge. She was chairman of many committees before becoming the Chairman of CAP. Sheri joined the Thursday Club when her daughter, Maggie, became a Debutante and to honor her mother who was a member of the club years ago. After serving as chairman of several committees she is now the current President of the Club. Sheri is a vital member of the La Canada Presbyterian Church having served as Deacon for many years. She has also been in charge of their Red Cross blood drive. Sheri served on the church’s Senior Ministry Task force developing a Senior Resources Guidebook. For 10 years she has cooked for over 100 retired members at their semi-annual Anchor luncheon and also made the table decorations for the event. Sheri spearheaded the 50th Anniversary of La Canada High School in 2013. She arranged for the publicity, food and music at the event in Memorial Park. When her daughter was a student at LCHS she served on the PTA and choir boards. Sheri also served the city on the La Canada Flintridge General Plan committee in 2007. In recognition of her service benefitting so many citizens of La Canada Flintridge, the Les Tupper Individual Service Award was presented to Sheri Morton. Victoria has resided in La Canada for 28 years with her husband Brad and 2 children. Professionally she is an attorney and has worked for a private firm and Southern California Edison. Victoria has served the community in many ways. She was a member of the La Canada Educational Foundation Board of Directors from 2003 to 2006. During that time she chaired the annual gala which raised $350,000. 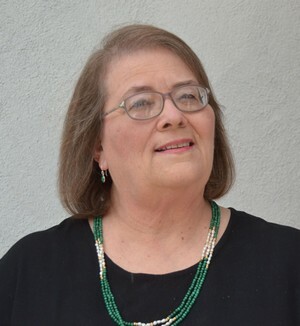 When her children were at La Canada Elementary School, Victoria was active in the PTA, worked in the school library and chaired the sixth grade play, Aladdin. At LCHS she was on the PTA Board, co-president of the Choir Parents Association and chaired a fundraising Jazz Night. She was co-chair of the LCHS Home Tour in 2009 and chaired the Home Tour in 2010. She received the PTA Founder’s Day service Awards in 2010 & 2014. Her latest venture has been forming the La Canada Flintridge Sister Cities Association and serves as its President. Having been a student delegate to Germany from her hometown Phoenix, Arizona, she would like anyone in our community to experience the same educational experience participating in an international cultural exchange. Victoria has worked tirelessly to achieve this goal after receiving the endorsement of the City Council. Working with the Sister Cities International Office in Washington DC she has created written and visual materials and made an outstanding video about our city. She has also made contacts and received funds from corporate connections. 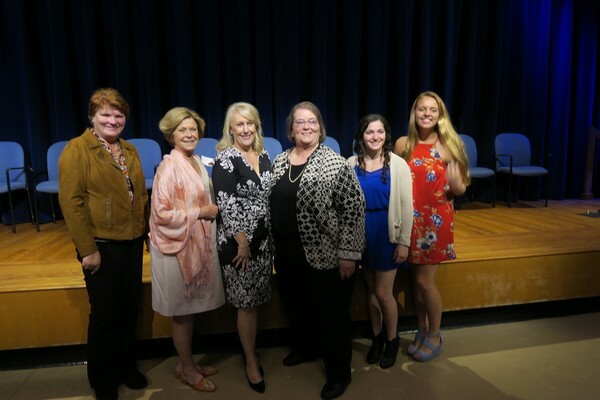 She visited 4 area high schools with applications for students to attend the Sister Cities International Conference in Washington, DC and traveled there with the 6 students who were chosen. Victoria traveled to two possible sister cities in Spain and Germany. It was recently announced that our sister city is Villanueva de la Canada. Victoria has laid a solid foundation for a program that promises to benefit our city. In recognition of her outstanding example of leadership and service the Les Tupper Individual Service Award was presented to VICTORIA SCHWARTZ. For over 7 years, Jan SooHoo has been deeply involved in efforts to prevent the construction of a 5-mile tunnel linking the 710 freeway with the 210 freeway. The proposed tunnel would greatly increase the number of vehicles passing through the region, especially trucks carrying freight and is projected to bring substantial traffic and poor air quality to La Cañada Flintridge. Jan is a founding member of the No 710 Action Committee, a grassroots organization that merged in 2010 from long-time freeway fighters, Caltrans tenants, neighborhood associations, historic preservation groups, educators, health professionals and elected officials. She is involved in every aspect of the organization, regularly attending not only member meetings but countless meetings of the Metro Board, transportation commissions, councils, public hearings and community forums. She is skilled at coordinating effort with transportation, environmental and elected leaders and disseminating accurate information to the public and media. As a trained scientist, Jan is well-versed in data analysis and has fearlessly challenged flawed propaganda from the supporters of the project as well as Metro and Caltrans. Jan identified public and private schools located within close proximity to the 210 freeway and points to studies that show that the tunnel would adversely affect the health of our children. Jan spent a great deal of time and effort reviewing the draft Environmental Impact Report (DEIR) which was over 26,000 pages long as well as recruited environmental professionals to render a comprehensive response. She also coordinated training for the public on “How to Submit Effective Written Comments.” Many La Cañada Flintridge residents participated in this campaign. In appreciation of her tireless work in educating and organizing opposition to the freeway tunnel and protecting the health of our residents, the Les Tupper Special Service Award was presented to DR. JANICE SOOHOO. In 1990 The La Canada Flintridge Coordinating Council established a Community Service Award designed to honor school and community service-minded students in grades 11 and 12. The objective is to promote civic pride in youth. Kara is a senior at LCHS and a member of the National Honor Society and California Scholarship Federation. She is co- president of Fundraising and Benefits of TACH, Teens for the Advancement of Children’s Hospital, and has been a member for 3 years. Kara has been involved with the National Charity League for 6 years. She has served as president, vice-president, and Ticktocker council representative. She credits NCL and her mother for channeling her passion to help those less fortunate. Kara achieved her Girl Scout Gold Award with her project “Finding Compassion for the Homeless”. She threw a Christmas party in the park for 80 homeless, preparing and serving dinners plus providing toiletries and gift cards for them. In working through Ascencia, a homeless shelter, she helped fundraise to provide 6 welcome kits which included bedding, dishware, pots and pans and towels, etc. to the families moving from the shelter to apartments. Kara also provided the shelter with 50 bags of hygiene products for their transitioning guests. She involved younger troops throughout the project to raise awareness about homelessness. Kara is a diver and has been the Rio Honda League diving champion for 3 consecutive years. As a Junior Olympic diver for the Rose Bowl Aquatics Center she has competed in national and international meets since 2006. She has used that experience to volunteer with the Sting Rays group at the Center which is a swim team for people with disabilities. Kara recently signed with the Southern Methodist University Women’s Swim and Dive team. Shayna has always had a passion for dance and for helping others. After witnessing 2 handicapped girls being turned down at dance studios, she decided to provide free dance classes to disabled and special needs children in our community. She had 30 reoccurring students in over 30 classes. This earned her the prestigious Girl Scout Gold Award. She is the captain of her competitive dance team. In addition to competing they perform for disabled adults and for benefits. Shayna and some of her dance team members bring food, tents and goods to Skid Row 3 times a year. Shayna is also involved with TACH, Teens for the Advancement of Children’s Hospital. She has been a member for 4 years and is co-president of Fundraising and Benefits. She is in charge of the silent auction at the Teen Bash held every year at Memorial Park. The group gives gift cards to low income families and patients. They also assemble gift bags and school supplies for the at-risk teenage patients. She has decorated the rooms of children staying at the hospital to give them hope and cheer. Shayna started a Make-A-Wish Club at LCHS and has been the President for the past 3 years. Her birthday parties since the age of 12 have been fundraisers for Make-A-Wish. In 5 years she has raised over $20,000! She also volunteered for the World Games Special Olympics in 2015 organizing the awards and helped get the athletes ready for the awards. At LCHS Shayna is a Varsity Song Cheerleader and is the student Pep Coordinator assisting the Pep Squad Advisor for the Pep Squad of over 50 girls. She is a member of the National Honor Society and the California Scholarship Federation. Shayna is most proud of receiving the Humanitarian Award at LCHS for her volunteer work. Her fellow students honored her last Fall as Homecoming Queen. She hopes to enter the University of Texas in the Fall. For the amazing example of doing for others, the Les Tupper Student Service Award was presented to SHAYNA GOLDSTEIN. Assistance League of Flintridge (ALF) became the 21st chapter of National Assistance League in 1954. Donations to the Bargain Box thrift shop fund their philanthropic programs. There are over 100 members who staff the Bargain Box and their six philanthropic projects volunteering over 20,000 hours a year!!! The philanthropic projects include running the community Summer School for grades 1 through 8. ALF pays the district for use of the facilities, hires the employees and purchases the supplies. Last summer over 800 students were enrolled. Instrumental Music for grades 4-6 was started in1985 with almost 200 La Canada Unified School District and private school students enrolled this year in the before and after school program. The Retired Service Volunteer program involves almost 50 senior citizen volunteers who meet every Friday to assemble mailings and perform tasks for other community organizations. ALF members serve them lunch every week and host parties and outings for them during the year. An after school Drama program began in 1986 and serves 3rd through 10th grade La Canada students. They put on shows at Lanterman Auditorium twice a year. In 2005 ALF joined with the Assistance League of Pasadena in Operation School Bell which clothes needy elementary school students. ALF members help clothe the students, provide hygiene kits and vouchers for shoes. They also provide backpacks for La Canada needy students. New to the program is providing shoe vouchers and hygiene kits for needy students in the Sunland-Tujunga area. ALF also has one time Outreach projects. They have donated $3,000 in books to the La Canada library, $3,000 in books to the Special Day classroom at Paradise Canyon, $3,000 in books to Apperson Elementary in Sunland and $3,000 in books to Sunland Elementary School over the last 4 years. ALF has two Auxiliaries; Assisteens and CAP, Canada Auxiliary of Professionals, that have their own service projects which benefit the community. 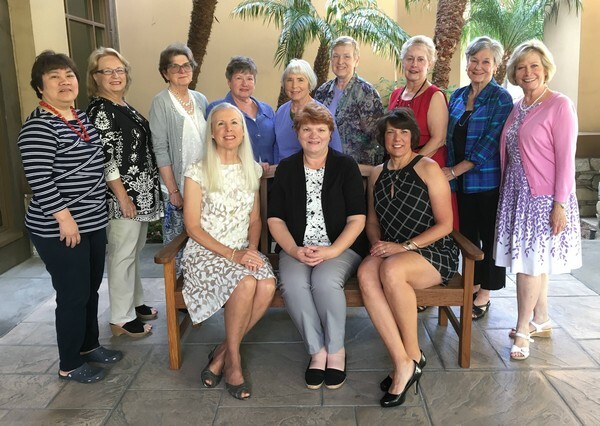 For their continuing service to La Canada and its neighbors the Les Tupper Community Service Award was presented to Assistance League of Flintridge. The award was accepted by Donna Shepherd, President.